Since 1998 Todd Patton Lawn Maintenance and Landscaping has been offering landscaping, trimming and weeding services to Upper Manatee and Rye Road Developments, Clubhouse Drive Developments, Lakewood Ranch, University Park, University Place, and the surrounding areas including all of Sarasota and Bradenton. Todd Patton Lawn Maintanance and Landscaping is fully insured and serves residential and commercial landscaping clients. 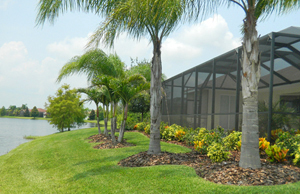 Our mission is to consistently provide quality Sarasota Florida landscaping services while enhancing your environment. We are based in Lakewood Ranch Florida and offer residential and commercial landscaping and Lawn care services for Lakewood Ranch Sarasota and Bradenton. From mowing lawns and landscape maintenance to tree and shrub installation, we can keep your Florida lawn looking beautiful year around. We offer a lawn care service program that will keep your landscaping perfectly maintained. Are you tired of spending precious weekends mowing your lawn when you should be spending time with your family? Are you trimming and weeding when you should be on the golf course or out on a boat relaxing? Let Todd Patton Lawn Maintenance and Landscaping take care of the work for you. We provide a complete array of commercial and residential lawn maintenance services including mulching, trimming and weeding for homes in Lakewood Ranch, Sarasota, and Bradenton. We can enhance and maintain your landscape design and we also offer tree trimming and scheduled lawn care. Landscape excellence requires both regular care and a proactive maintenance plan. We Keep your Sarasota Florida landscaping in peak condition all year around. 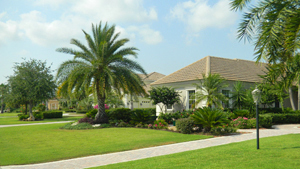 Our Florida landscape experts enhance your home's beauty and add value to your investment. We appreciate the trust you place in us when you put the appearance of your property in our hands. Our commitment to you is that we will always offer integrity, reliability and exceptional customer service. With over 13 years of experience, we have the knowledge and experience to facilitate any and all of your landscaping needs. We offer the best lawn service at the best value! Call us today at 941-224-0411 for a free estimate and have the best looking lawn in your neighborhood.